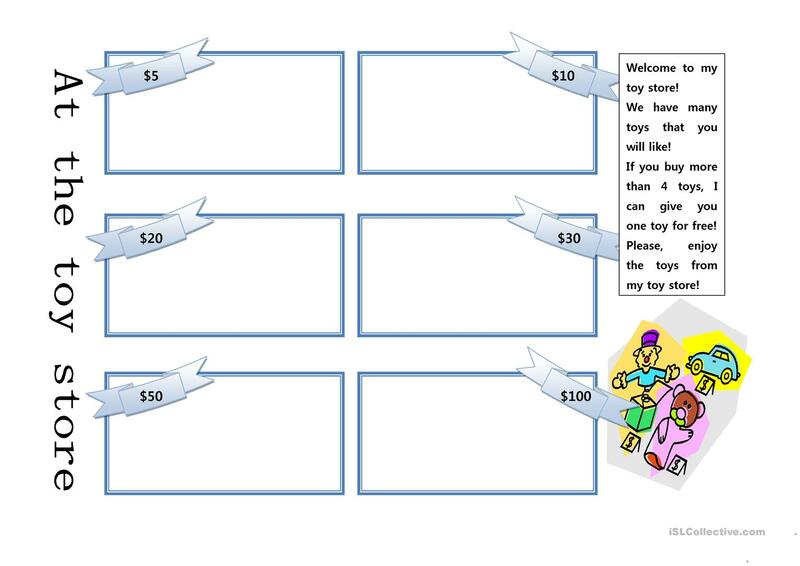 Worksheet for young learners to draw the toys they want to sell at their own toy store. Have them draw their favorite toys and let them introduce the toys in front of the classroom. This downloadable teaching material is recommended for elementary school students and kindergartners and nursery school students at Beginner (pre-A1) and Elementary (A1) level. It is a valuable material for honing your pupils' Speaking skills. donaldson is from/lives in North Korea and has been a member of iSLCollective since 2013-01-04 13:05:44. donaldson last logged in on 2014-03-03 06:44:04, and has shared 1 resources on iSLCollective so far.